Get ready to Rosé All Day®! 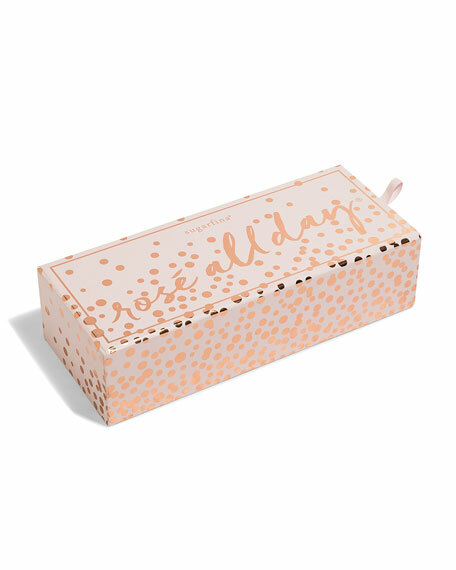 We'll have you saying yes way to rosé with our 3-piece Rosé All Day® Bento Box. 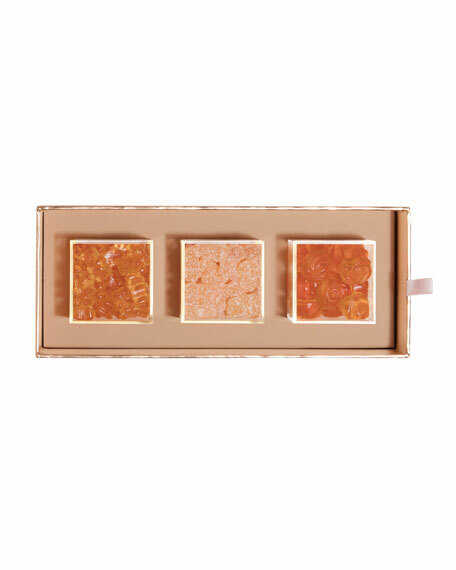 You can stop and smell the rosé with three of our most popular candies: 1. 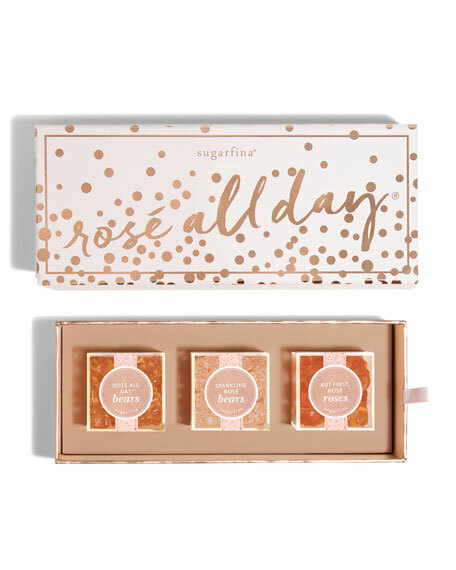 But First, Rosé Roses: light pink rosettes infused with Whispering Angel Rosé 2. Rosé All Day® Bears: rosé-infused gummy bears. 3. Sparkling Rosé Bears: rosé bears dusted in tart sugar crystals. 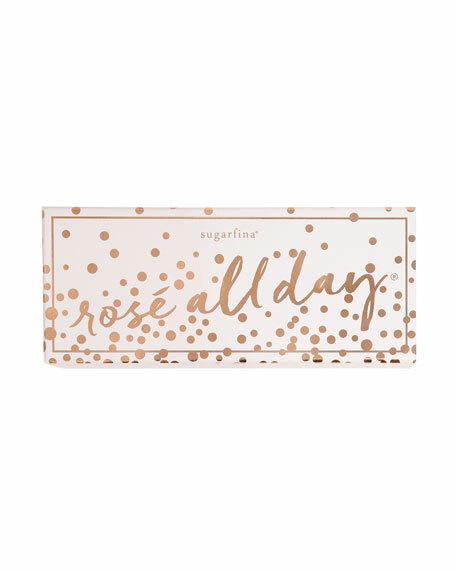 Sugarfina® "Rosé All Day" Candy Bento Box®. 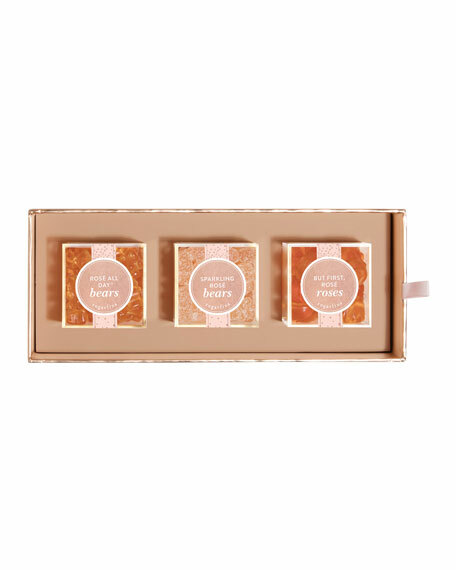 Three Lucite® cubes filled with: Rosé All Day® Bears, Sparkling Rosé Bears, and But First, Rosé Roses. 9.5"W x 4"D x 2.75"T.
Allergen Information: Contains milk and soy. May contain wheat, peanuts, and tree nuts.